Francis Alfred Suttill was born in 1910 to a British father and French mother at Mons‐en‐Barœul, near Lille. He was educated at Stonyhurst College in Lancashire and studied law at the University of Lille. After moving to London he was called to the Bar; in 1935 he married and had two sons. Following the outbreak of war he was commissioned into the East Surrey Regiment, and recruited by SOE's French Section in early 1942. He trained alongside Claude de Baissac for the role of organiser, and was parachuted into France in October 1942 to begin PHYSICIAN, a new Paris‐based circuit to take over from AUTOGYRO, which had been penetrated earlier that year. Assisted by wireless operator Gilbert Norman and courier Andrée Borrel, he made rapid progress, forming numerous SOE sub‐circuits across much of northern France; in December a second wireless operator, Jack Agazarian, was sent to help with the mounting workload. Like de Baissac's SCIENTIST in Bordeaux, PHYSICIAN (or PROSPER, as PHYSICIAN became known, after Suttill's codename) soon commanded hundreds of members, who began receiving their first consignments of arms in March 1943. Suttill was recalled to London in mid‐May (why is not clear), but parachuted back just a few days later. Now in charge of an organisation covering twelve departments, fears about PROSPER's security were beginning to prey on his mind. The Germans had already made one significant arrest: Germaine Tambour, who had acted as a letter box (passing messages between agents) in Paris for Suttill and other agents, had been taken just a few weeks previously. He had also begun to harbour suspicions about F Section's head of air operations, Henri Déricourt, who was receiving agents by Lysander to support the expansion of PROSPER and its offspring. Unfortunately Suttill's hunch proved to be correct: Déricourt was delivering uncoded messages, circuit reports and agents' personal mail to the Germans, who secretly copied and returned them before they were flown to London. He was also responsible for letting the Gestapo know the times and locations of landing operations, so that they could follow agents from the moment they arrived on French soil. However, the train of events that finally led to the fall of PROSPER began not with Déricourt, but with the arrival of two Canadian agents, Frank Pickersgill and John Macalister, who dropped into France on the night of 15/16 June. On 21st they were driven by PROSPER agent Pierre Culioli to catch a train for Paris, but they were all arrested on the way. Critically, when Culioli was searched the Germans found on him the address for Norman, leading them straight to the heart of PROSPER in Paris. Late on the evening of 23 June both Norman and Borrel were trapped in an apartment near the Bois de Boulogne, and the next morning Suttill found German agents waiting for him at his hotel, on rue Mazagran near the Porte St Denis. Within hours of Culioli's arrest, the key members of SOE's biggest concern in France had fallen into German hands. All three were taken to the Sicherheitsdienst (SS counter‐intelligence service) headquarters at Avenue Foch, but exactly what happened during Suttill's interrogation remains unknown. Though a number of surviving agents and their German captors later gave their accounts, these were often contradictory or incomplete, though it seems clear that Norman was the only agent to see Suttill before he was sent to Berlin for further questioning a few days later. One of the German interrogators at Avenue Foch, Ernst Vogt, claimed that Suttill had made a pact with the SS, sparing the lives of all those involved in return for the locations of arms depots. However, the available evidence suggests that it was Norman who began to talk. Several SOE agents who met Norman during their time in custody reported that he had agreed to work with the Germans: for example, when Marcel Rousset, wireless operator for the BUTLER circuit, was arrested in September 1943 Norman told him that the Gestapo knew everything about F Section, and advised him to admit everything he knew. Why he decided to cooperate is open to question. A courier with a PROSPER sub‐group noted that prior to their arrests Suttill had described Norman as being "very tired" and in need of a break, which may have weakened his resolve. Certainly the shock of being shown the breadth of information passed by double agent Déricourt must have profoundly shaken both Norman and Suttill, and apparently convinced Norman that their position was hopeless. Several days later Norman was forced by the Germans to send a wireless transmission; to warn London, he purposely left out a security check to show that he was acting under duress, but he was dumbfounded when the reply simply told him not to forget it next time. Joseph Placke, the assistant to the head of the wireless section, later stated that this was the point at which Norman gave up any remaining thoughts of resisting their demands. 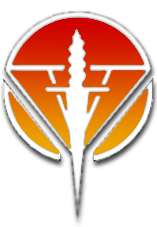 Through the summer of 1943 the disclosure of information on PROSPER and its sub‐circuits had terrible consequences for F Section's agents, as well as circuit members and their families: hundreds of them were arrested and deported, and tons of arms were recovered. Agazarian was in England at the time but agreed to return, and soon became the victim of a German trap set using Norman's wireless set. As London was unsure whether Norman was free or not, Agazarian reluctantly went to check on a bogus rendezvous in the rue du Rome at the end of July and was caught instantly. 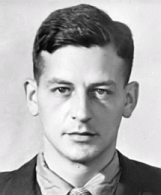 Norman was held in Paris until April 1944, when, after an unsuccessful escape attempt, he was deported to Germany and executed at Mauthausen concentration camp in September. Borrel, having given nothing away, was executed at Natzweiler in July. Though tortured, Agazarian also refused to talk and was executed at Flossenberg concentration camp in March 1945. After his deportation to Berlin, Suttill was transferred to Sachsenhausen concentration camp. According to the testimony of an orderly, Suttill was placed in solitary confinement in the prison block, and remained there until his execution at the end of March 1945, along with Charles Grover‐Williams, a former racing driver who had been organiser of the CHESTNUT circuit. Major Francis Suttill was posthumously awarded the Distinguished Service Order. His name appears on the SOE memorial for F Section agents at Valençay in France, and the Groesbeek Memorial in the Netherlands. Shadows in the Fog written by Francis J Suttill about his father and the Prosper network, is published in August 2014. Shadows in the Fog by Francis J Suttill (History Press, 2014).